FOX is really struggling this season but one of the few bright spots on their schedule has been Gotham. While the show’s ratings have dropped quite a bit since its premiere, it’s still doing well for the network. As a result, they’ve handed down an early second season renewal. Gotham is a dark crime drama that tells the early stories of police detective James Gordon (Ben McKenzie) and iconic Gotham City characters — before they became legendary crimefighters, villains. and vigilantes. The rest of the cast includes Erin Richards, Donal Logue, David Mazouz, Jada Pinkett Smith, John Doman, Camren Bicondova, Robin Lord Taylor, Cory Michael Smith, Zabryna Guevara, Victoria Cartagena, Andrew Stewart Jones, and Sean Pertwee. What do you think? 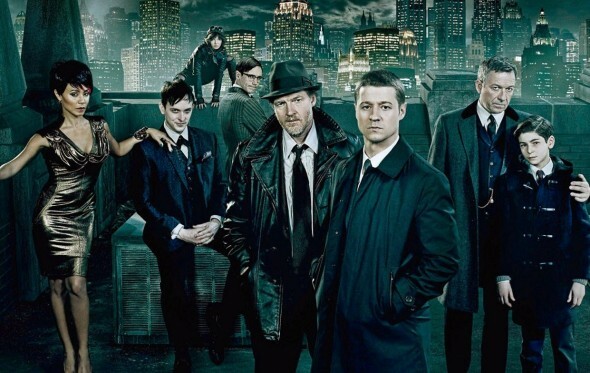 Are you glad that Gotham’s been renewed for a second season or, would you have cancelled it instead? How long do you think it can realistically run? Gotham: Cancelled or Renewed for Season Five on FOX? Pleasantly surprised how much I love Gotham. Best performance from Jada Pickett as Fish, but whole cast is just superb. Hurry up Jan 19th. This second season rise of the Villians is too dark. Too much blood shed ! I`m 65 years old and can honestly say that It`s been a long while since I`ve been as entertained…I count the days down `till the next episode. The entire cast is outstanding. I never even dreamt that it may not be renewed. Love, love , love this show One of our favourites. Love this show! Gotham is one of my favorite show and it should be renewed! Please, don’t cancel! I would be so disappointed if this show cancels out! I’ve watched and followed every one of the series and I enjoy every minute of it! The actors are very talented and played each characters really well! I love Gotham!!! It’s my favorite show. There’s so much reality TV and competition shows. This is a great thriller–always something new and I can hardly wait until the next Monday night to see the newest episode!!!!!!! Gotham should be renewed. It is well written and has excellent acting. It’d be a shame to cancel it and a disappointment to all those viewers that have enjoyed this quality show. Fantastic series’ one of the best well done fox Keep it going great story line . I would be so sad if Gotham did not make to a third season. It is such an exciting show and the actors are extremely talented. It seems that the really well-written and “edge of your seat” kind of shows get cancelled. I really hope Gotham can hang in there for many seasons to come. Agreed I love the actor they are really good!